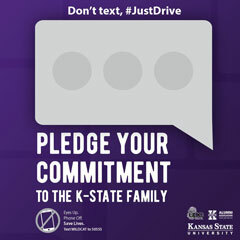 Kansas State University is competing in the Kansas Insurance Department’s Don’t Text #JustDrive campaign. The university with the most votes wins! Take the pledge online or text Wildcat to 50555.